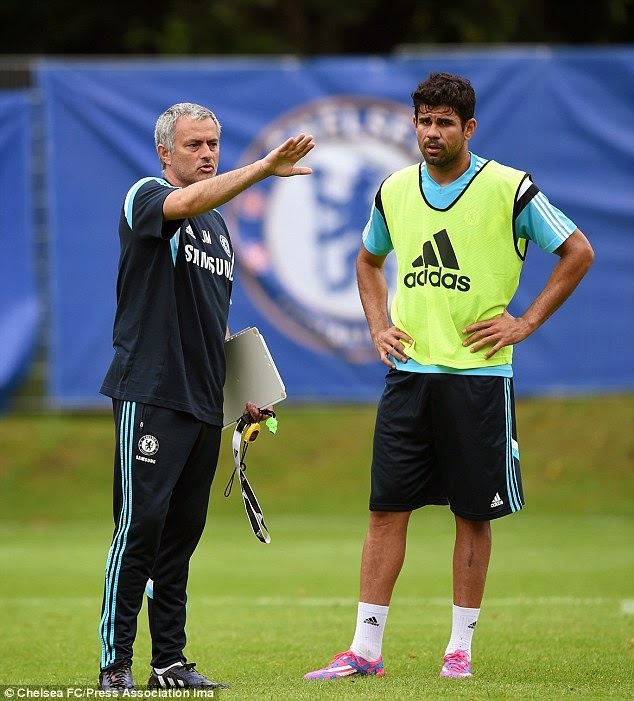 Can Chelsea Cover a Costa Crisis? Diego Costa arrived at Stamford Bridge in the summer with a strong reputation and a great record with Atletico Madrid that helped his former club to the La Liga title last season. We’ve often seen strikers struggle to adapt to English conditions and Blues fans would have been cautious but what an incredible start it’s been for the Spanish international. Nine goals in seven league games have helped Chelsea to the top of the table going into the International break but while that ratio ends any doubt we had about the player himself, it does raise another question. Those nine goals have made Diego Costa a strong favourite with Betfair to finish the season as the League’s leading goal scorer and if he maintains that form, it’s hard to see beyond a fourth Premiership title for the Blues. If there is one concern however, it’s the weekly debates over the player’s hamstring and the question as to who steps up to replace him. We all know about Mourinho’s comments from last season regarding his team with no striker and Costa does seem to answer that issue. The manager also moved quickly to remove the perceived deadwood that was Eto’o and Ba while a late loan deal for Fernando Torres lead to the emergency signing of Loic Remy – a man who had previously failed an Anfield medical. So numbers wise, Chelsea have the same amount of centre forwards as last year but few will argue that the quality hasn’t improved. With the manager opting for a lone striker, Drogba and Remy have had little opportunity to impress this season with opportunities restricted to substitute appearances and the odd run out in Europe. Remy has, however, already found the net in the 4-2 win over Swansea suggesting that if there was a gamble involved with regard to his fitness, Chelsea were right to take it. The answer to the question that this article poses may not be known until Costa is absent but perhaps there is another player, further down the field, who can solve any problem. If you enter any discussion over who is the most important signing over the summer, opinion tends to be divided between Diego Costa and Cesc Fabregas. The former claims the goals but his midfield compatriot is involved in many of them and without Fabregas, Chelsea would not have the four point lead that they currently enjoy at the top of the table. We’ve all read his stats – four assists in his opening four league games which led to a Premiership record. Cesc laid on two goals in that Swansea win before opening his own account against Schalke and if anyone had any misgivings about his arrival based on previous employers, those have surely been eradicated. Diego Costa’s hamstring and his previous injury record – he suffered a cruciate rupture in 2011 – may give cause for concern but at least Chelsea have better options up front. With Fabregas in form and others contributing from midfield, there should be no major issues but one thing is quite clear: Chelsea’s quest for their fourth Premier League title will certainly stand a better chance of success if their main centre forward stays fit and on the pitch as much as possible in the months ahead.